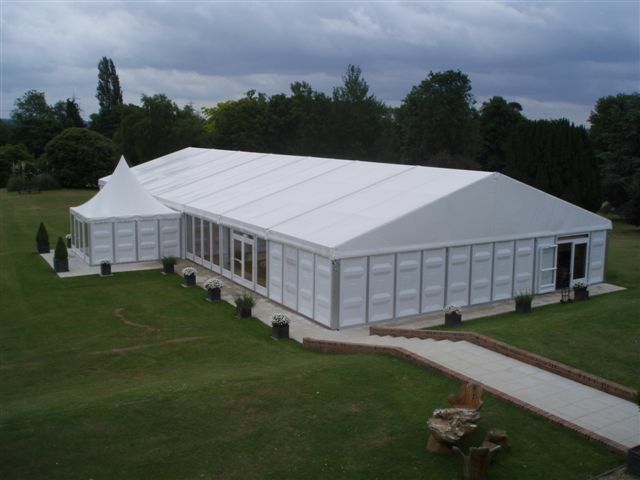 Inspired Structures has over 15 years experience in the Events and Marquee Industry. Whether it be marquees for Weddings, Corporate Functions, Events and Private Parties we have provided solutions for Blue Chip Corporations, Charities, celebrities, Royalty however each and every enquiry and client is dealt with the same with the same focus, care and attention. So whether it is a birthday party for 40 in the back garden or a Charity Dinner for 1,000, no event is ever too much. We also specialise in the Bespoke, Semi Permanent Structures ideal for Storage, Temporary Classrooms, Shops, A function room at a venue or a Sport Facility. We understand that no two events are ever the same and we aim to provide you with everything you may require for that special occasion. 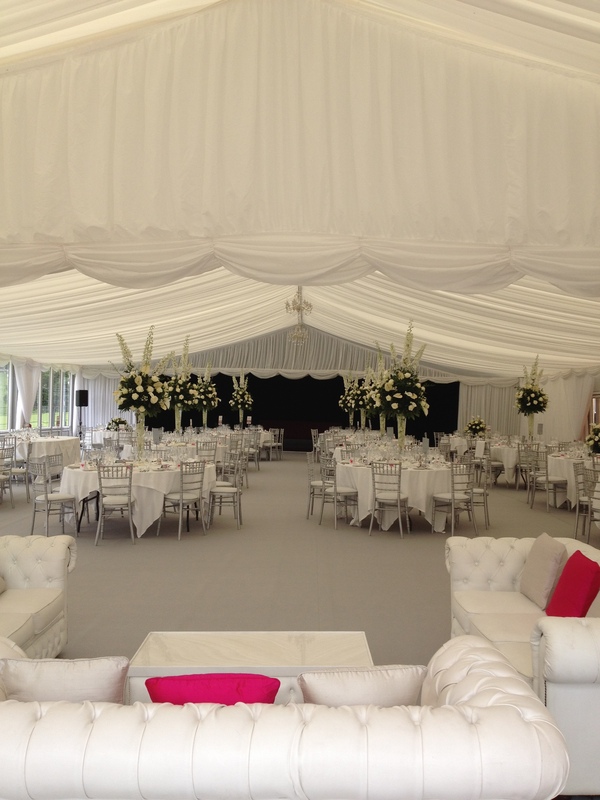 From lighting and heating, to tables, chairs, linings, dancefloor, and even nightsky ceilings – we can tailor any marquee hire to your specific needs. We offer Clearspan Structures from 3m upto 25m wide. 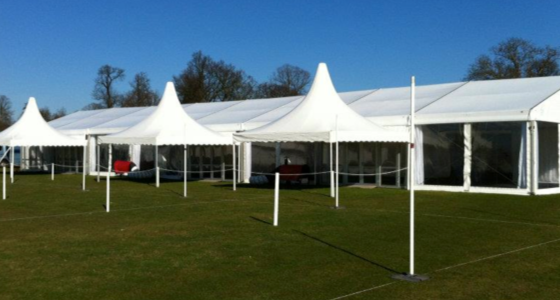 In addition, two marquees can be placed side by side, for example producing a width of 21m (9m and 12m alongside each other) which, depending on the circumstances, may utilise the space available most effectively.